Mosquito Control Acworth, GA | Bug-Off Exterminators, Inc.
Life in Acworth, Georgia often means dealing with unwanted mosquitoes on your property. You can keep these creatures under control with the assistance of our professional technicians. 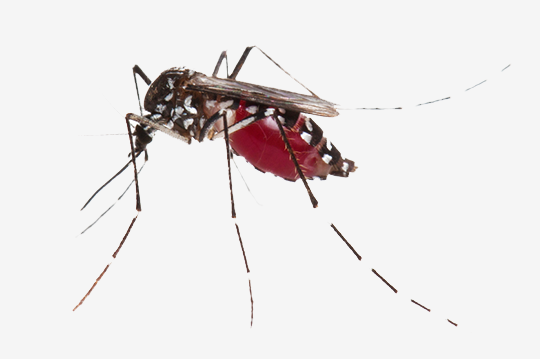 Prompt and efficient, our technicians have plenty of experience in treating mosquito problems. These registered professionals know how to handle treatments on different types of properties from businesses to residential homes. Your business will continue as usual without any interruptions during a service visit. If you have questions about your treatment, feel free to ask. We're happy to answer them. Our technician will even tell you more about our residual pesticide, which is potent for several weeks after application. We like to apply it in several areas around the property during a service visit, such as the shrubbery and plants. Does spending time outside leave you scratching at mosquito bites for days afterwards? When you can't properly enjoy your backyard during the summer months, it's time to call a professional exterminator. We can quickly and effectively apply mosquito control treatments and install traps around your property that get rid of these unpleasant flying pests. Technicians also provide helpful advice for eliminating mosquito breeding grounds and hiding spots on your property. Soon, you'll be able to enjoy free time outside without worry about bites or buzzing distractions. On your first service visit our technician needs to examine your property. During this consultation, the technician takes note of areas where mosquitos are likely to congregate. This can include standing water sources, such as bird baths, and gutters. After inspecting the technician can begin servicing for mosquitoes. The service is a dual approach to help control mosquitoes. 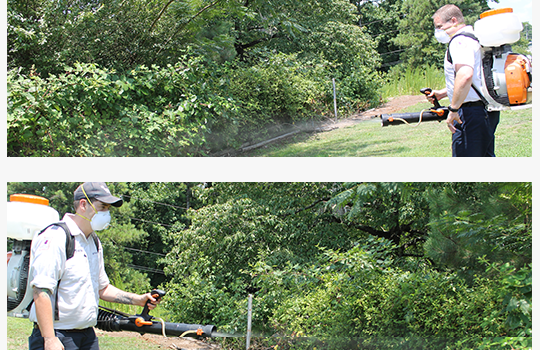 Initially we apply a pesticide around your property using a backpack sprayer. We treat the bushes, tall grass, and other shrubbery. Next we install traps around your property that help control the breeding of mosquitoes. The traps are a safe alternative for exterminating mosquitoes. The product will start taking effect and you'll notice a dramatic drop in the mosquito population. For fast, professional pest control service give us a call. We're happy to answer any questions you have or schedule a mosquito treatment for your property.